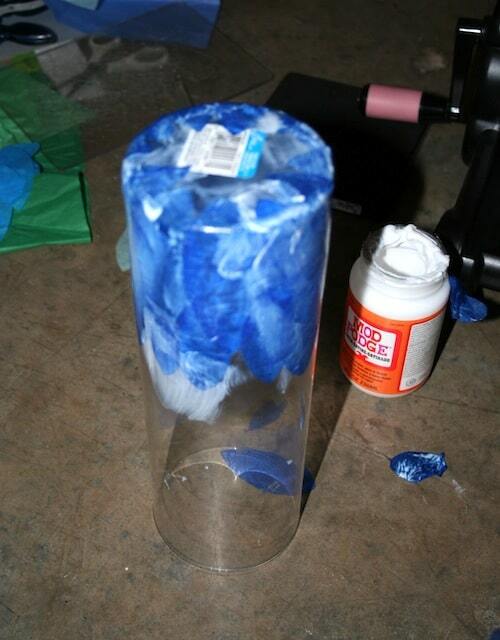 Learn how to decorate a vase with tissue paper and Mod Podge. 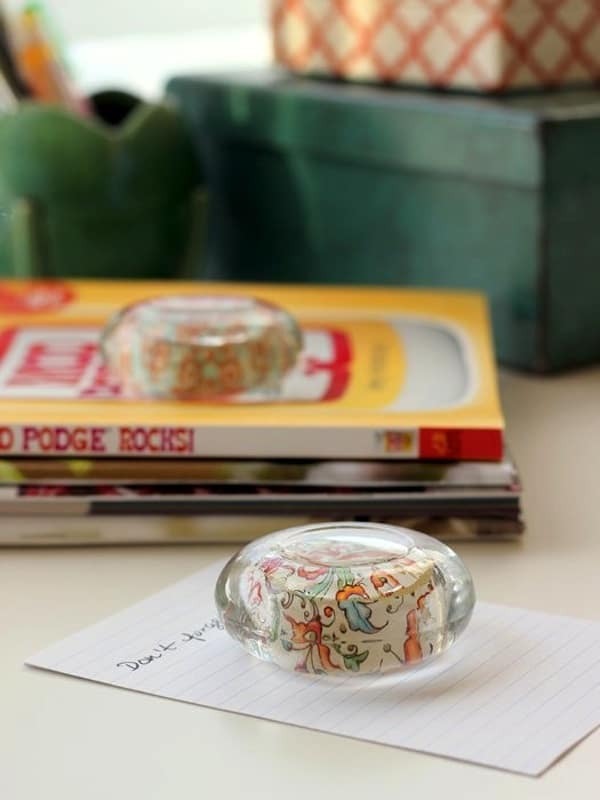 Such an easy way to update a plain glass piece, and makes a great gift! Are you a fan of flowers? If you are a chick like me, then the answer is likely “yes.” I can be picky about my flowers, and this might be funny, but I really like white flowers. I find white cut tulips to be particularly beautiful. They are smooth and simple and look great in decorative vases, which I have several of (hello, decoupage addict). I'm going to show you how to decorate a vase with tissue paper and make it pretty to hold flowers! I recently decorated a tall glass vase with tissue paper, and I think it's lovely for displaying white tulips. 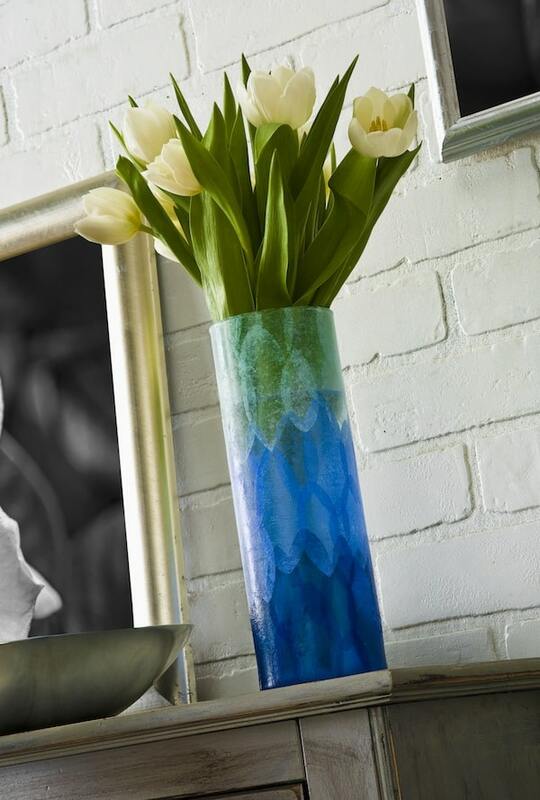 I love a vase in the kitchen to brighten my mood in the morning, or even decorating a vase just like this one and giving full of tulips as a gift. 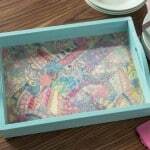 The tissue paper makes it a perfect budget craft, and I love the DIY ombre pattern. Here's how it's made. I used my cutter and die to trim the shapes I wanted for my vase. The nice thing about tissue paper is that you can fold it over and cut many layers at once. The most time consuming part of the project is cutting piles of several leaves. How many you need just depends on how large your vase is – this took about ten minutes for me. You can always cut more if you need to. 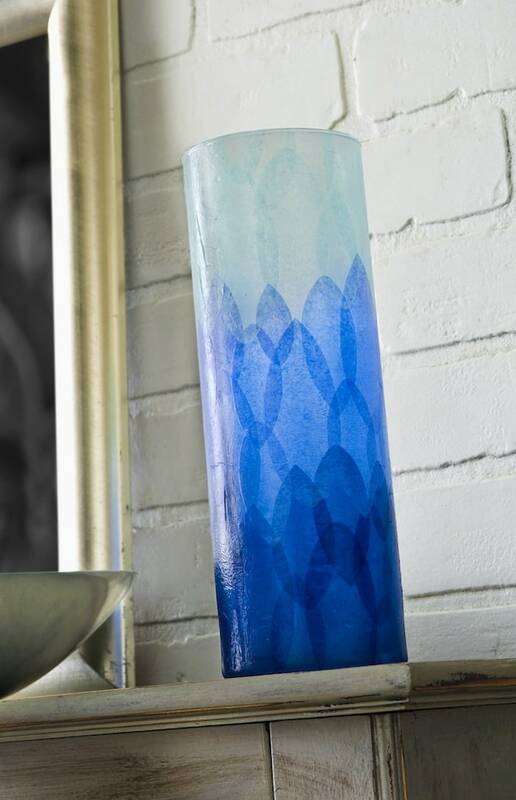 Start with the darkest shade on the bottom if you are doing an ombre vase like I did – put your mid-tone color in the middle and the lightest on the top. 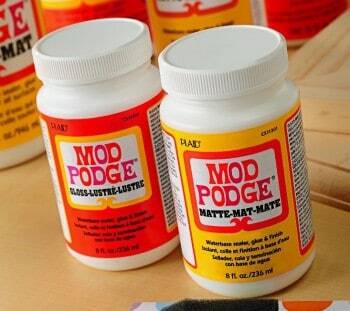 Layer the leaves with Mod Podge. I made them slightly overlap . . . all you need to do is paint the vase with Mod Podge in one area, place the tissue paper down and then paint delicately over the top. Just be careful not to brush too hard so that you don't tear the tissue paper. I'm so thrilled with the finished project. Now you know how to decorate a vase with tissue paper! My method keeps the tissue from wrinkling. 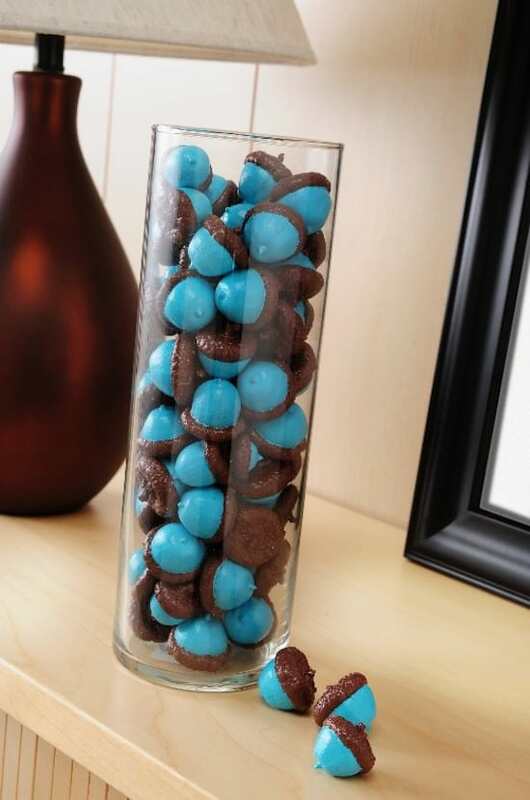 All you need to do to finish is fill your vase with tulips! You can get cut tulips at grocery stores, garden centers and floral shops. You don't have to just go for white either . . . When I first started dating the Monkey Scientist, he kept telling me he had tulips in his front yard and I had no idea what he was talking about. One day he finally pointed them out to me and I had to politely explain that those were daffodils. That year for my birthday he sent me tulips at work with a note that said he picked them from his front yard. It’s always been our flower of choice since! I’d love to create a canvas with tulips on it for our room since it’s our special flower. I would probably paint it and then mod podge printed flowers onto it. i’d make a personalized vase with tulips in it for my mom for mothers day! Wow this turned out so beautifully! 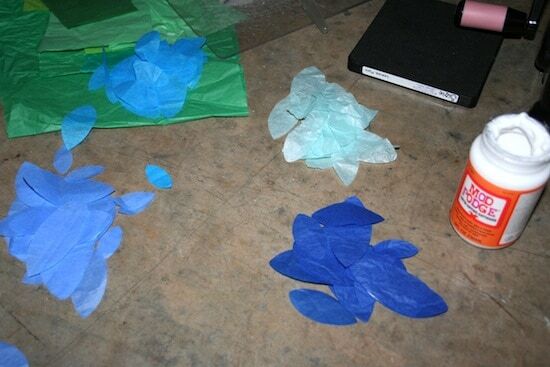 I love blue ombre and I love the shape of tissue paper you used. I’ll have to give this project a try! I love tulips, especially knowing the penny trick to have them stand up straight! 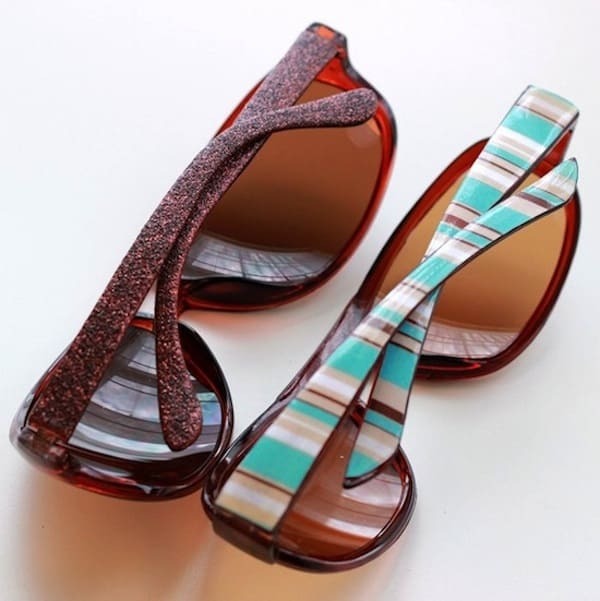 I love bases but my new hot to trot item are glass pitchers! They are so universal and gorgeous! Looking forward to starting my creation soon!! Wow! I think I want to make a vase like this. Beautiful! I love this! I pinned it to the group wedding board I have with my daughter because I think she’s going to love this idea for her wedding! I really like this! 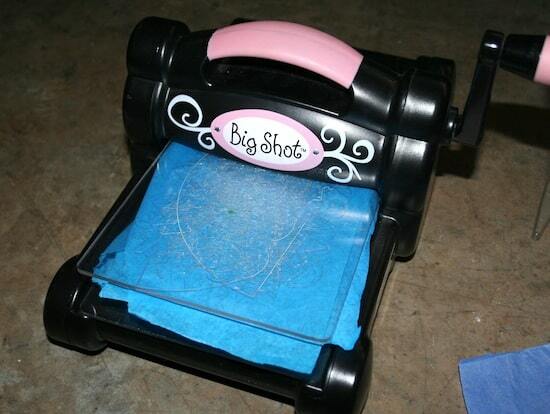 BTW if you don’t have a fancy “doohickie” you could cut them out by hand. It would take longer though. I think I would do something similar only using pink colors.